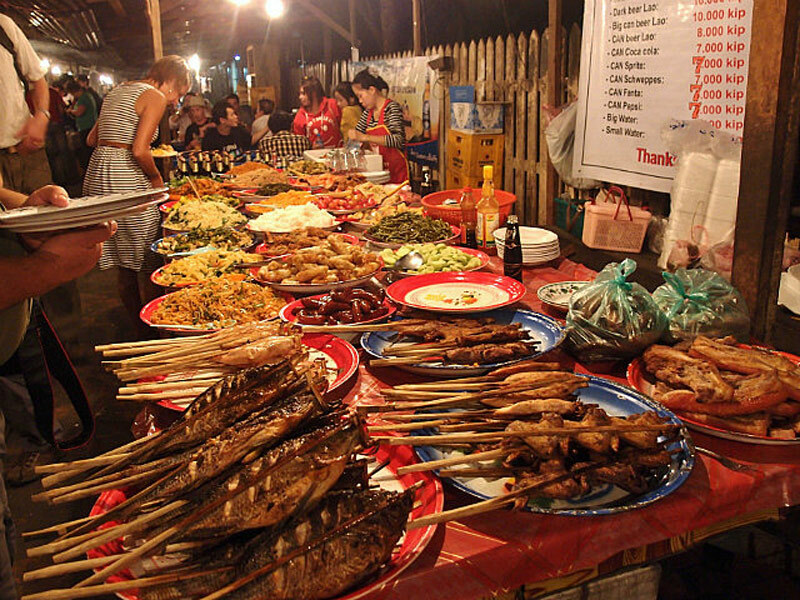 The Caterer’s Evening Market in Luang Prabang, buffet & local dishes. 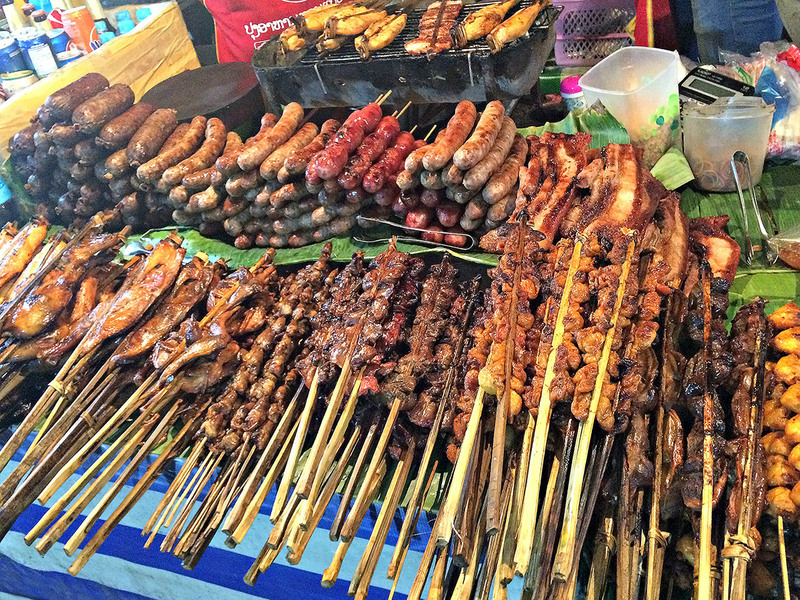 This is a site which must not be missed if you want to taste Laotian specialities, which you very often can’t find even in restaurants. 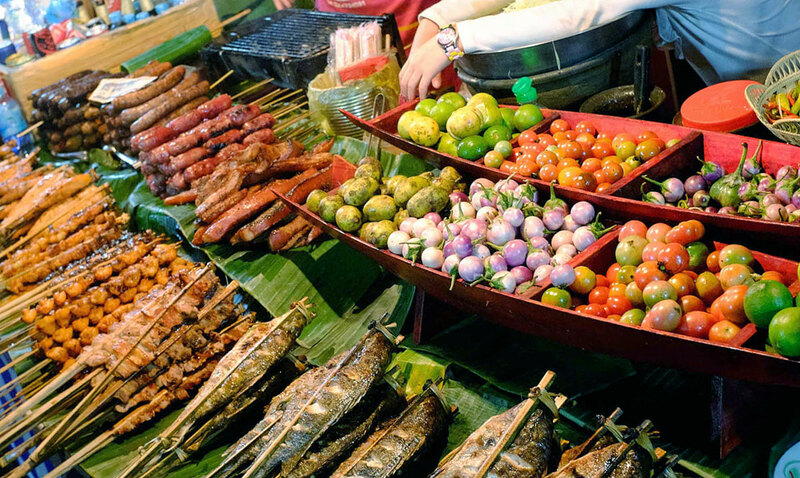 The Lao’s come here regularly to buy their food (probably from laziness, so as not to cook ...) along with tourists who will find it typical, animated and very pleasant. 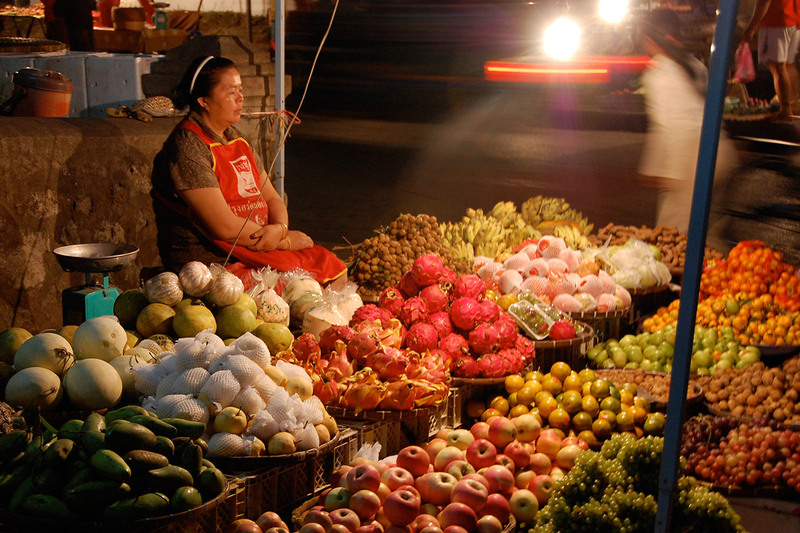 The area is quite badly lit, sometimes the smells from the barbecues are a bit strong, but it is still very typical, happy and so unusual that it is a ‘MUST’ to go round the market, which is mainly patronised by Laotians.